As one or two may have noticed I've been very busy recently getting in touch with a few people in the balloon world that I'm very lucky to know. So pleased to say the Ken has agreed to take part in the Interview as well 19/25th May. Ken's Superhero DVD is definately one of the best which luckily I pointed out during my little Interview. Hi Ken, you are famous for your superheroes DVDs (and many other things to, of course) and I think a lot of question will be about this subject. I want to ask you about another thing you did, the DVD "Speed Twisting"
I love that one, I use the models (a lot) and they are very successful. In fact, they belong to the top 3 of popular things that I make. Are there some new designs to this same concept? Are there pictures of new designs that I can see? Will there ever be a volume 2? Hi Ken I love the superhero dvd. When did you get started with balloons and why? What advice would you give for someone starting out or wanting to grow their business? but if you have any others please fire away with them. 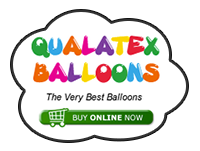 We have already seen the upsurge of balloon fashion/clothing and bigger & more complex balloon sculptures. How do you see the future of balloon modelling? What way would you like it to go? 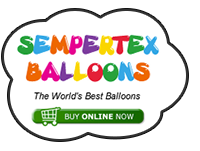 What do you still want to explore with balloons? I agree with you, next to the Hitch Hiker Hat, I believe that Speed Twisting is one of the greatest concepts that I have discovered to date. I love how quickly you can make large and impressive animals with it. I am compiling some new ideas for the next DVD. The Super Hero DVDs have really been popular. I got started in balloons in the early 90s. I was in construction The state that I lived in was in was in a recession. I took up twisting as a way to offset my income. Looking back I would have kept working at the job I had and put the balloon income toward a savings. It is always better to be working in the black. I am excited about the big things that are being done as well as the elegant. The picture of the China girl was my first attempt at a dress. There was an e-mail with all the balloon dresses from China that went around the world. Anytime that balloons get the exposure of this magnitude it helps our industry and raises our perceived value. I do not want the simplicity of the twisted sculptures to be lost to the complexed weaving of the grandiose giants but I believe it is important for both to exist. Had I followed the rules of my time I would never have come up with any of the multiple balloon sculptures that exist today. I am putting together a web site called Twisters United .com with the hope of uniting twisters all over the globe for the purpose of research and development, so that we can create balloons that would enhance our art form. I have to many ideas to protect all of them, but I believe with the help of twisters united we can get them out quicker and won’t have to wait for the manufacturers to decide whether there is enough profit in them or not. And Greetings to all the twisters in Singapore. I got the shirt in Orange County in the States. I had gone to see Don work at Tu Tu Tango and it was at a small store in the mall where he used to work. 1, What road led you into balloon modeling? California was in a recession. My wife, Julie had started to paint faces to help with some of the bills. She thought that she could paint more faces if I would dress as a clown and attract more kids. I wanted to support her and signed up for a college class on clowning. I never liked balloons but a man came and lectured at one of the clown meetings and said his balloon company had done 300,000.00 worth of business last year. Well you can imagine my ears perked. I had started twisting in the early 90s to supplement my income. I had written several books in order to teach at a clown conventions. in 1999 I was invited by a good friend, Fred Harshburger to go to a balloon twister convention in in Texas. by this time I had quit clowning and twisting and had gone back to construction work. I really didn’t want to go but Fred convinced me that we would have fun. I am so glad I went. It was T Jam 99 and I taught a private class and had no idea of the royalty that would grace it. Among all the famous twisters from Europe, Leo Verlinden of IBS was there. when the class was over he invited me to give lectures all over Europe. I have never met a man so gracious. He gave so much of himself. Julie and I will cherish that time forever. It was at this time I new I had a gift to share. That would have to be the balloon lectures. I cannot say which is the best because they have all been so great. I am so grateful to Leo who started the whole thing off. I have gotten to see France , Switzerland, Belgium, Germany, Holland. Jack and Roberta Lever have taken me to Italy twice. I have had the pleasure to have traveled with David Grist to Belgium, Italy and Japan. I have seen more of the east coast of the US because of Jim and Tom than I have ever seen of the west. Soo Chin from Qualatex has taken me to Singapore. It was good to see her in China this last November. One of the places I had always wanted to go to from the time I was a child was Australia. Bruce a Rachelle Fraser of Qualatex down under made my dreams come true when they invited me on a lecture tour of Australia. I would not have believed in my wildest dreams that twisting balloons would have taken me around the world. I think the worst thing that has happened to me was when I was packing my house I got a call and the voice on the line said , who is this? and I said this is Ken who is this? he said this is Tim, where are you and I said where are you? He said he was at the airport. I realized I was a day off in my rush to move and I had forgotten to fly to Arizona. I told him I was home packing, and he said OK what pillar are you hiding behind? I had to let him know that I had missed the flight that he had paid for. I had to finish moving my home and then drove all night to arrive the next day to do my lecture. I have to say that I enjoy the creativity of twisting, although the medium is very transient, much like life. yet it brings much happiness to those who experience it. It is also a medium that has not been around for ages and ages, so it gives us greater opportunity to look like masters. Its the walking disaster Thelma here. Did you ever manage to get a femanine face from the hearts. We had a conversation in which you said you had never managed to get a famanine look with the technique you use and I went home and played and played but had no luck. Did you crack it in the end? Do you have a website where people can purchase your DVD's, books etc? Would you be able to share a story about you & David Grist? I always tell people about the time at TMJ when David & I always went to other peoples BBQ's as we never had any food in the rooms where we stayed, this is a long story so when you see me next I'll elaborate a bit more. It was at one of the BBQ's with Will & Anna that I met Sabina Kellner for the first time. If anyone has any other questions for Ken, please post away.